Rock Island police arrested a man found naked and covered in cooking spray early Monday in the downtown area. Officers responded to the call of a naked man at 3:27 a.m. in the 2200 block of 3rd Avenue, where they found him carrying a pair of shorts. Rock Island Deputy Chief of Police Jeff VenHuizen said the man, Chad William Forber, 41, of Blue Grass, told officers he had taken off his shorts because they were too big and would not stay on. “He said he had been dropped off somewhere on 11th Street and that he had walked to the area where he was apprehended,” VenHuizen said. “He had lathered himself up in Crisco. He was covered in grease, and was holding the can under his arm. “He said he was looking for a place to party,” VenHuizen added. When officers searched the man’s shorts, they seized a quantity of drugs they suspected were methamphetamine. Rock Island County prosecutors have charged Forber with possession of less than five grams of methamphetamine, a Class 3 Felony under Illinois law that carries a prison sentence of two to five years. Forber also is charged with resisting a peace officer and possession of drug paraphernalia, both Class A misdemeanors that carry a jail sentence of up to one year. A charge of lewd exposure was dismissed. 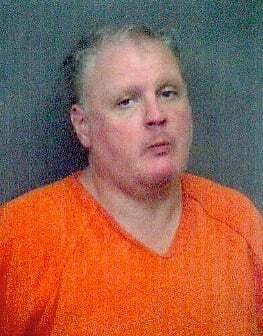 Forber was being held Tuesday night in the Rock Island County Jail on $40,000 bond.